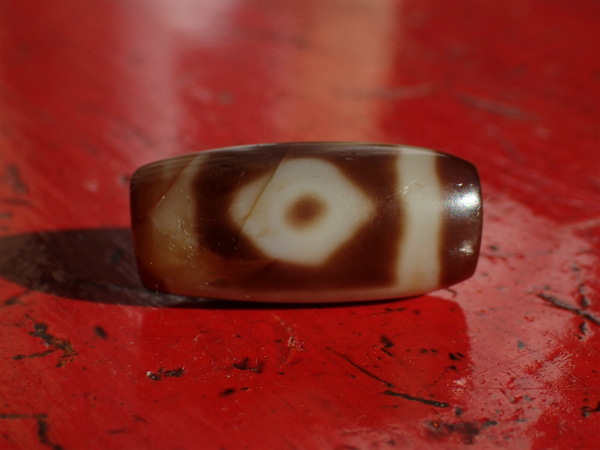 およそ2千年前のAncient Tibetan 2 eye dZi with Dorje eyes. 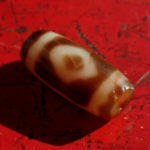 A rare earth door design 2 eye dZi found in Tibet. 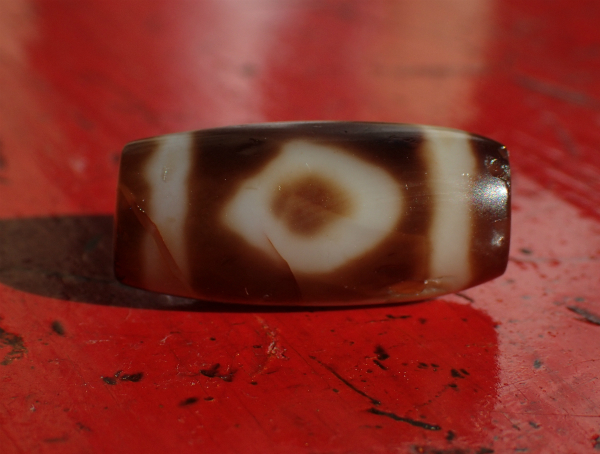 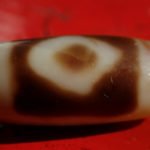 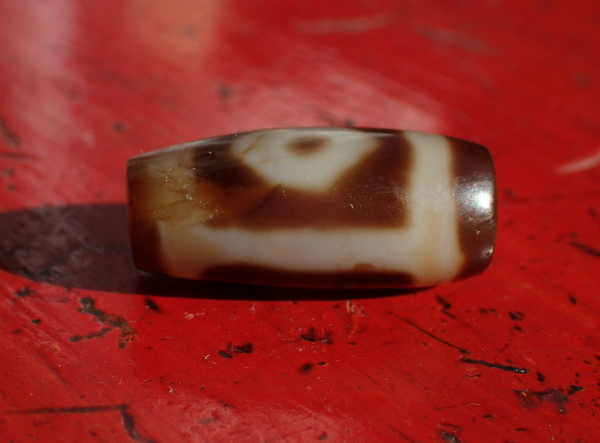 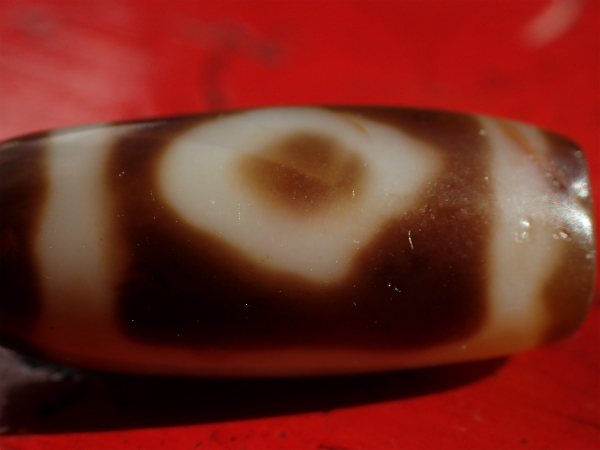 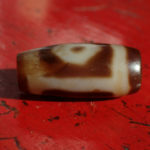 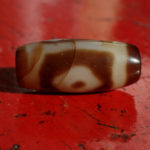 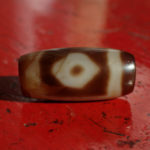 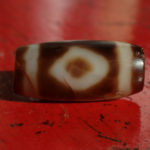 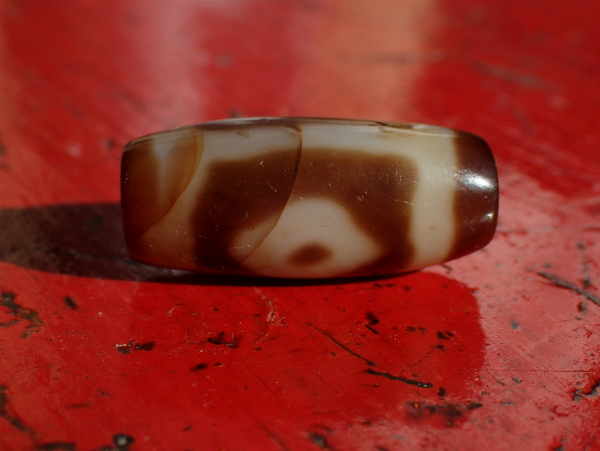 instead of the round eyes, this dZi has very unique feature which is the Dorje eye or the Diamond eyes. 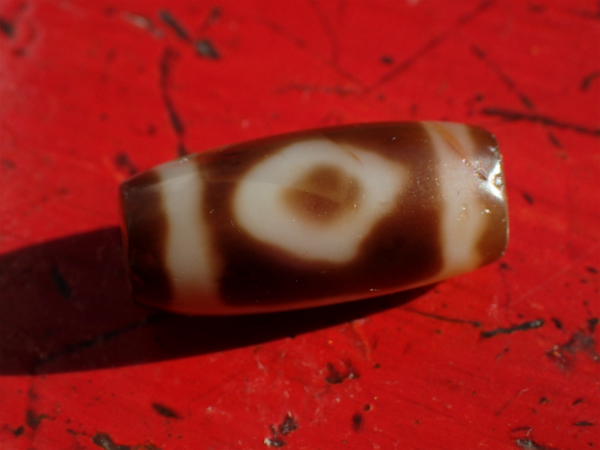 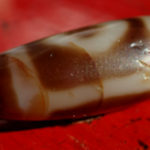 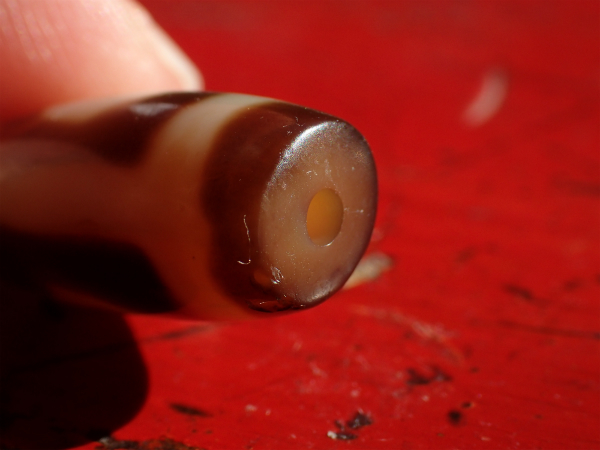 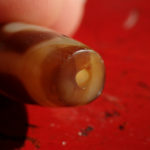 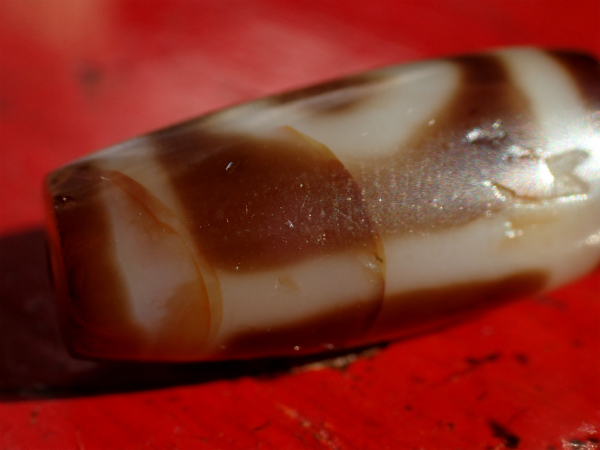 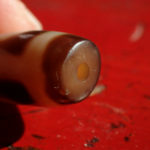 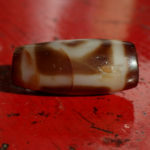 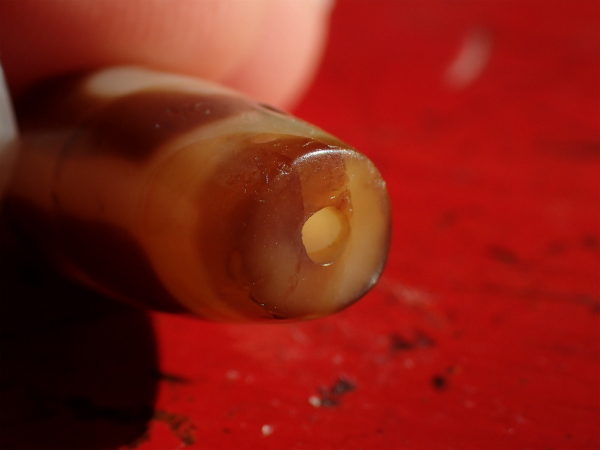 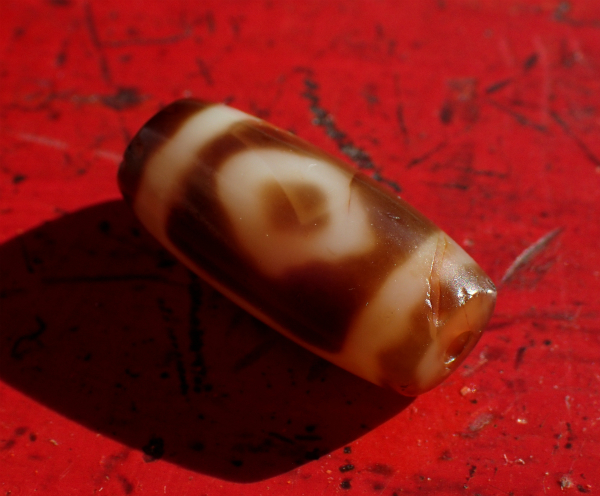 a lovely brown and white dZi with some blood spots in the body. 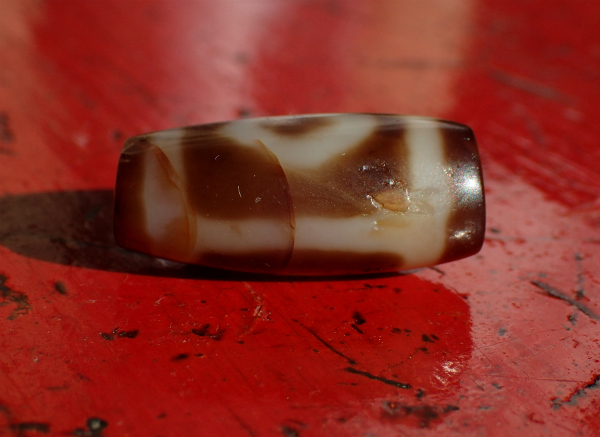 it has two Tsari(fractures) but the body is completely stable without damage or repairs.